Will the Abus 37/70 lock work with this chain? Thank you in advance, Dann. 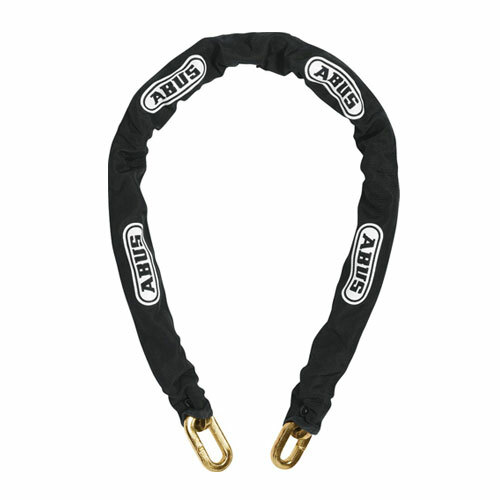 Yes, the 12KS chain from Abus will fit with the 37/70 lock, both through the end links and also through a middle link if you need to do that. We do not show this combination of lock and chain on our site because the 10KS and 12KS chains work well with #ABS-37925 when you pass one end link through the other. We feel this setup gives maximum security by protecting the lock shackle, but of course we have customers that are quite happy coming up with their own lock and chain combinations.